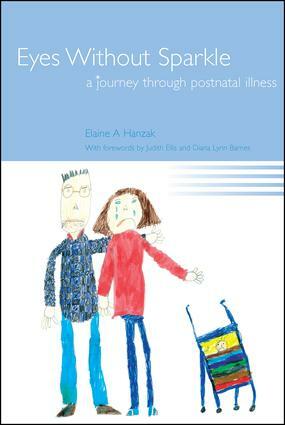 One day you will feel better… Eyes without Sparkle is a powerful medical autobiography describing the journey followed by the author into, through, and out of puerperal psychosis, the most severe form of postnatal depression. With vivid and intimate descriptions of events and the author’s feelings, this is the only book offering a single first-hand account of postnatal illness. The book serves as an inspiration for anyone suffering from or involved with a depressive illness. For health and social care professionals it is a reflective guide to learning from patients’ experiences, and the examples of positive and negative aspects of treatment can inform mental health services and policies. Introduction. My life becoming a 'Hanzak'. Nick and I. The birth. First days on the ward. Coming home. Another display stay. We're going to the Lake District. A holiday. Dominic's in hospital! Pressure, pressure. Losing it! Downhill. The final descent. A refuge. Become institutionalized. Looking up and outwards. Discharge day! He's almost alone. Another summer. Back to school. Springtime! Back to reality. Spreading the word. Making a difference. And so to London.